Loan men Jon Flanagan and Patrick Bamford are expected to be eligible to feature for Burnley in their FA Cup third round tie at Sunderland tomorrow. Flanagan and Bamford are on season long loans, from Liverpool and Chelsea, respectively. 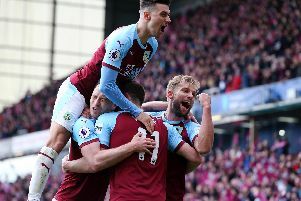 And, as he prepares his side for the trip to the Stadium of Light, Dyche said, when asked if they will be available: "Yes, as far as I know, I've not been told any different, I might get told that..."
There has been speculation that Bamford could be recalled by Chelsea, having failed to start a single game for the Clarets so far this season, but Dyche is relaxed about the situation: "That will be an ongoing conversation with them and us, that's just natural, it's not about Patrick." Flanagan will remain with the club until the end of the season as planned, despite some stories to the contrary, which took quotes from Dyche out of context. Dyxhe had said: "We’re always monitoring our situations. "Football’s changed, it’s not just on the pitch now, there’s lots of different management things you need to look at and monitoring their contractual situation, whether it’s a loan player, a player under contract or your contract needs extending, there’s a lot more that goes on than just people think. "We’ll monitor his situation and him with us, there’s always their angle as well, it’s not just mine." Flanagan has missed the last two games with a knee problem, but a scam has only revealed bruising after a knock in training, and he could feature against the Black Cats. Also available are young forwards Dan Agyei, Josh Ginnelly and Ntumba Massanka, after returning from loan spells with Coventry City, Walsall and Morecambe respectively.